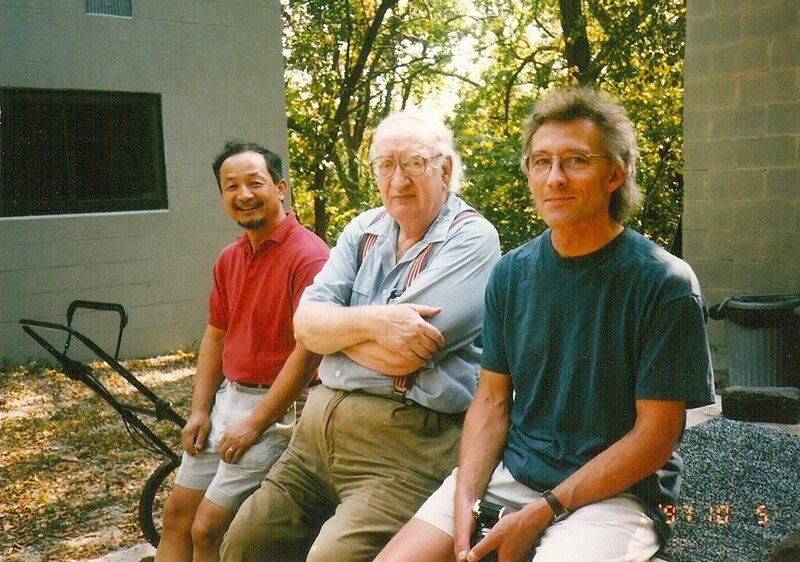 Professor Yoshiro Ikeda, my mentor from Kansas State University, passed away on December 23, 2014 at the age 67. I felt gut-wrenching pain as his urn was buried underground. I loved him like my own father. Words cannot express respect and gratitude I have toward this man. Sparkles in his eyes continue to encourage me as I work in the studio. It is okay to pour our heart into things we care about. What we do matter. People are more important than materials. Art is an important tool for me to connect to others. It is okay to feel and show love and affection to my students. I am grateful for my students for enriching my life so far. 14 years after leaving K-State, he continues to teach me many things. Yoshi Ikeda’s funeral service was beautiful. It rained a lot in Oregon. In Japanese we call this 涙雨　(namida-ame), meaning when your loved one passes nature cry with you. On Saturday, December 27, we met at Lincoln Memorial Park Cemetery. The place is open, green and has great view looking over the hills. The ceremony was brief, emotional, and full of love and affection toward the man we all miss. As each member placed a handful of dirt on the urn, a beautiful piece of Japanese music called “Nada Sou Sou (Stream of Tears)” by Rimi Natsukawa was played. We then gathered at a local sushi place. All of Ikeda sensei’s siblings (sensei being the middles of five children) were there. It was great to meet them and express to them how much he meant for all of us. Sensei’s brothers look and talk just like him with Kagoshima-accent Japanese. It was a treat for me to be near them. Ester and I talked about many of you, shared tears and had lots of good laughs. I then visited their very cozy and cute house in Gresham. Seiji is an amazingly strong person. He arranged details, made sure things go smoothly and checked to see if everybody was comfortable. He is so much like his dad always taking care of others. Yoshi & Ester heard and felt all your messages. We as a group of students were definitely there as a spirit. Ester is amazing. She is full of strength, warmth and love even during this hardest time. I really hope we can collectively continue to show our love and support to this incredible woman. Yoshi was a master of pushing you in a direction but never answering a question. He taught me more than anything to never accept any answer and push myself harder. My faults in are are MY FAULTS! Accept them and progress from there. Question yourself constantly but never admit you are doing it! Yoshi liked a hard workers more than some one with raw talent and skill. He has a great ability to see that early on in a students. He had a great double standard, if you had talent and were lazy he never pushed you cause you were going to do anything. Vs you sucked and worked real hard he’d push. Yoshi said you can teach how to throw, but a work ethic. Both Yoshi and Anna knew I lived in the studio with only breaks to visit Maes. Borh had me look out for the hard workers. 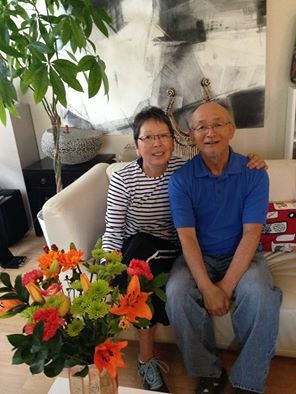 The legacy of Yoshiro Ikeda has been a tremendous influence to hundreds of students, potters, colleagues and friends. His influence will be felt for many generations to come. There are very few people who can leave a mark like this. Thank you Yoshi and the entire Ikeda family for all you have done to make this world a little better. My first experience meeting the master was in the fall 2004. I was a senior in high school and came to campus for a tour. I stumbled upon west stadium and was introduced to Yoshi. I told him I wasn’t sure what I wanted to major in yet but I’d love to continue taking ceramics, and asked if it’s be hard to get it if I wasn’t an art major. Yoshi took me down to the ceramics one room and pointed to a kick wheel (which I had never used before). “You throw cylinder this high (6 inches) and we talk”. I did so but was shaking the whole time. Yoshi said “you will be in ceramic 2, I won’t remember you, but you tell me that and I sign paper for you”. My dad was with me and still shares this story with friends. It was my privilege to exhibit and to sell Yoshi’s work in my gallery. I considered it an honor to have such a prestigious artist willing to show at the Strecker Gallery especially in the early years when I was just starting. His good nature and willingness was very helpful. He was not only a mentor to students but also to me as a neophyte dealer. He will be missed. 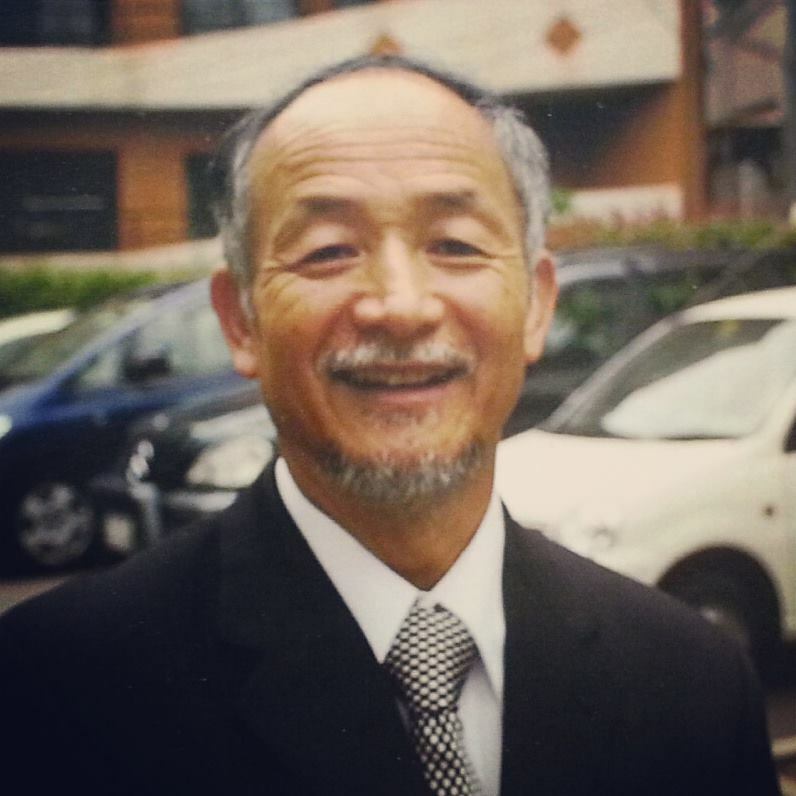 Yoshiro Ikeda earned Kansas State University’s highest academic ranking of distinguished professor in 2004. He was the 2010 recipient of the NCECA distinguished teaching award. 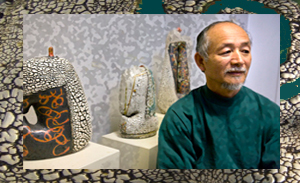 Ikeda’s work has been discussed and reviewed in many national and international ceramics periodicals and publications, and has been published in numerous prestigious books and in international and national newspapers and magazines. His work also has been part of major public and private collections on at least four continents. A full color online version of the catalog from his last show, Quiet Symmetry can be found here. The world lost “a good one”.